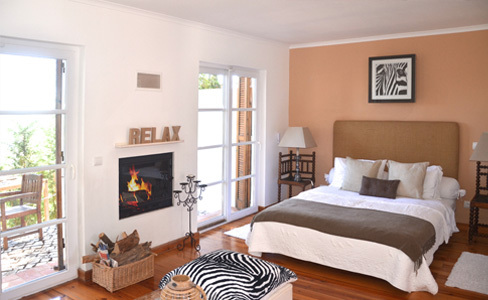 A romantic fireplace makes a stay in the winter months very pleasant. 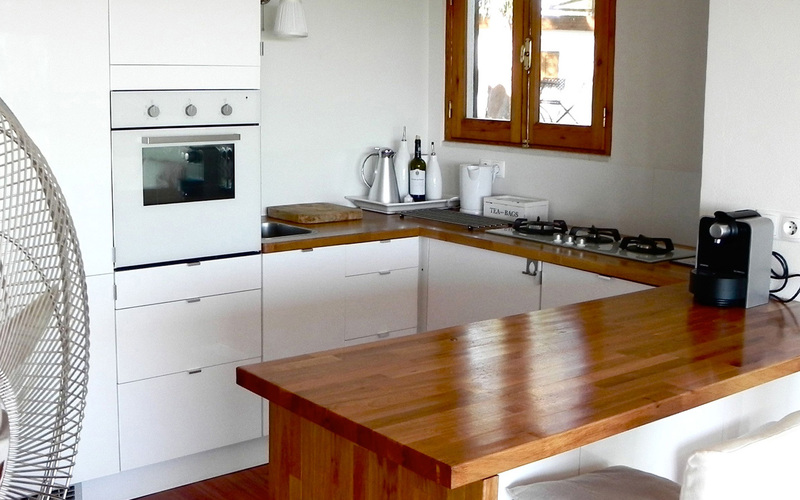 A fully equipped kitchen with gas hob and beautiful distant view. 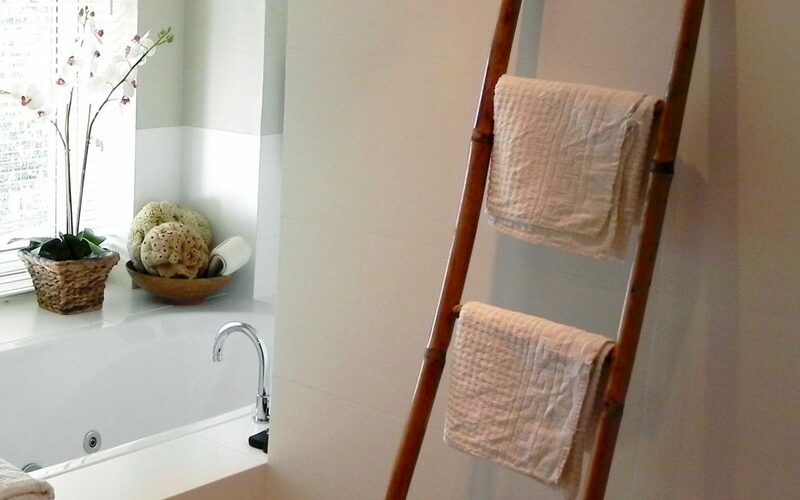 A modern bathroom with rain shower, whirlpool tub, toilet, bidet and underfloor heating leaves nothing to be desired. 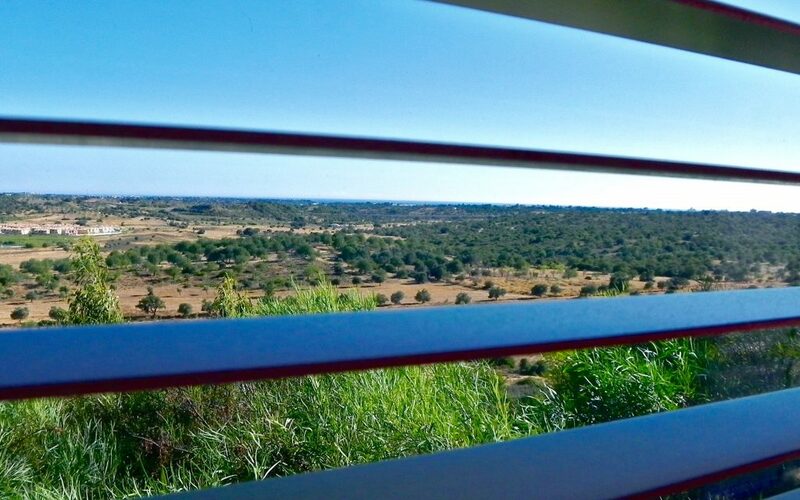 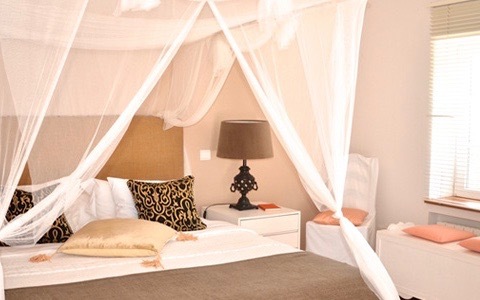 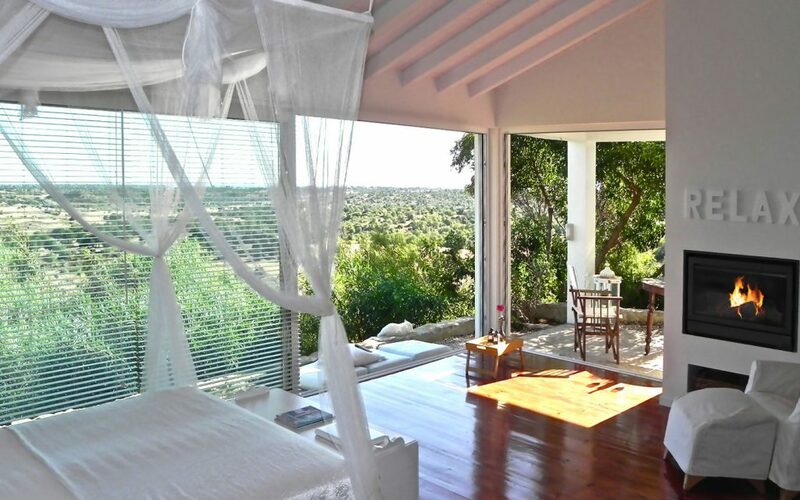 The light-flooded Hillsuite with large panorama windows is located on the southern slope of the Moinho do Pedro and has a unique panorama view over gentle hills to the coast. 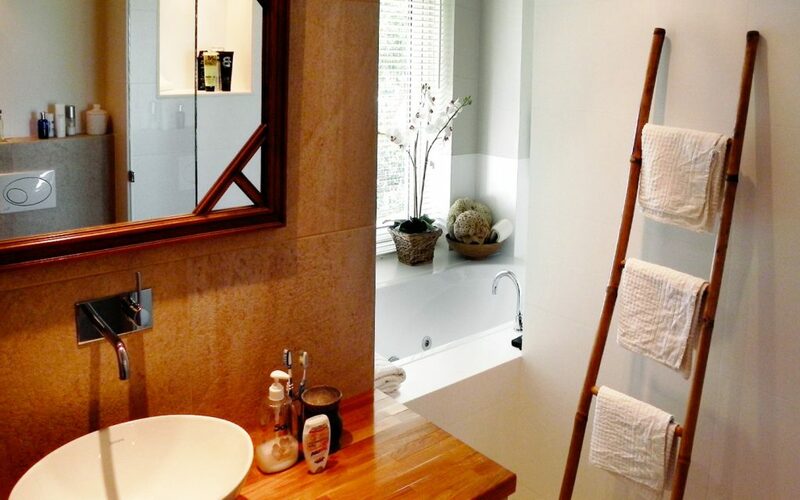 The Hillsuite is open-plan and has a fully equipped kitchen with gas cooker, a shower and bath tub with toilet and bidet, a cozy living area with a romantic fireplace, satellite TV and free WIFI. 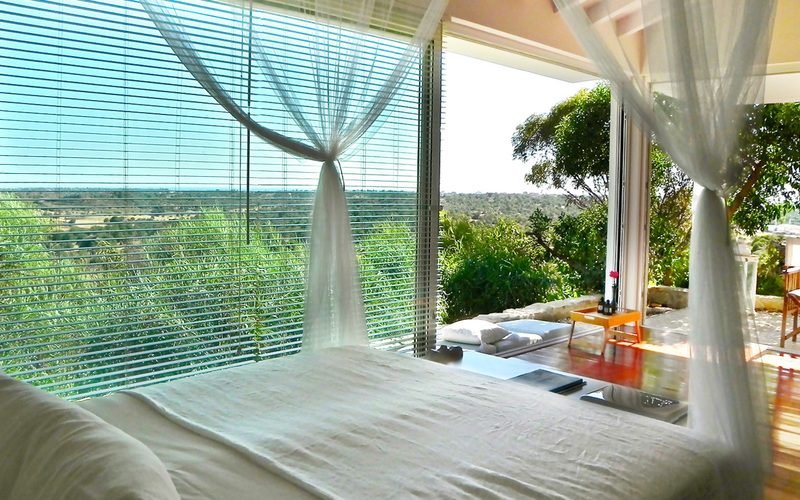 The large panorama windows can be opened completely and allow a feeling as if you were outside on your terrace. 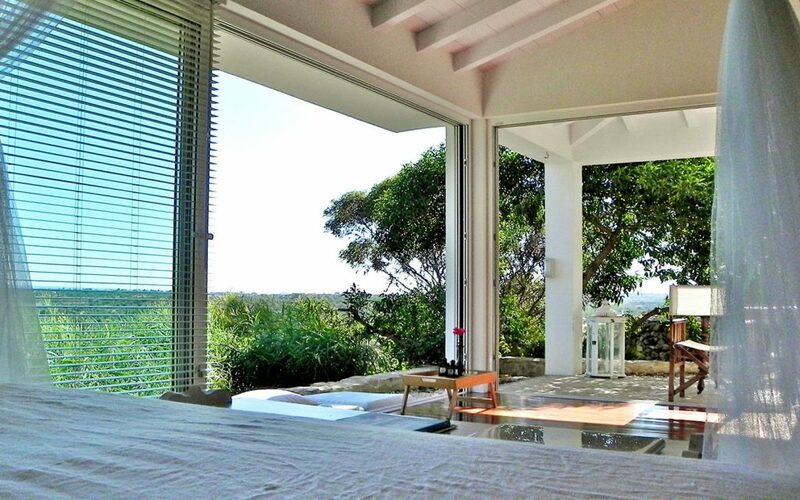 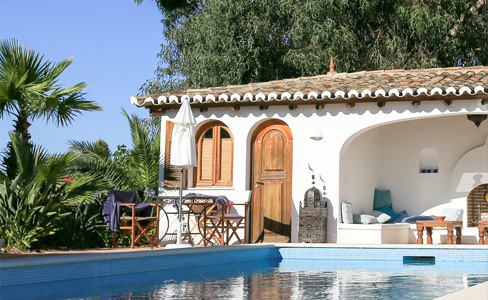 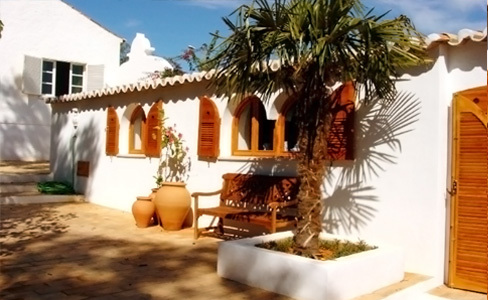 The south-facing terrace with seating for 2 people also invites you to sunbath during the winter months. 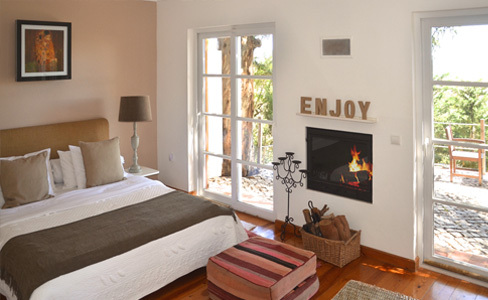 In addition to the fireplace, the apartment is equipped with underfloor heating in the bathroom and makes a stay during the winter months very pleasant. 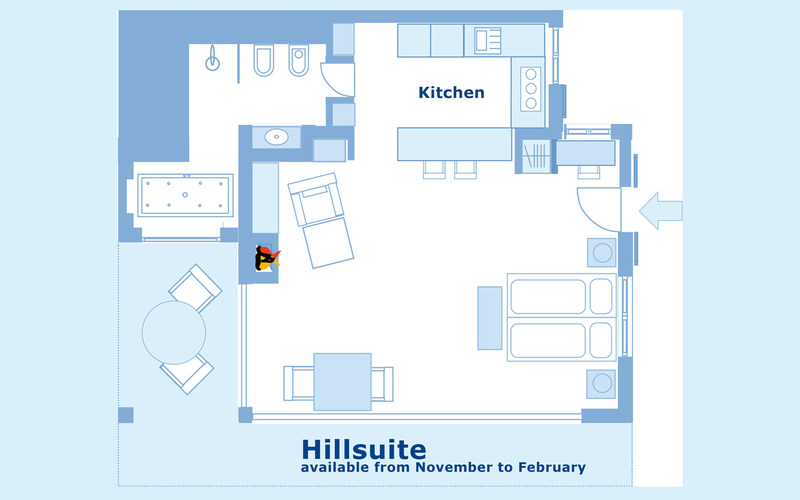 The Hillsuite is only available from November-February.